California employees are entitled to a 30 minute meal break if they work in excess of five hours during a workday. To qualify as a lawful meal break, employees must be relieved of all duties. A “working lunch” does not satisfy the law. If an employer fails to give a proper meal break, the employee can recover one hour of pay at their regular rate of pay for each day they are not provided a proper rest period or lunch break. There are, of course, exceptions to the rules regarding California meal break laws. For example, a bona fide “exempt” employee is not subject to this rule. If the work day is less than six hours, the employee can agree to waive the time period. Under the California labor law for meal breaks, in the health care industry an employee can agree, in writing, to waive this meal period. Further, union member employees working under a collective bargaining agreement may not be subject to the rules regarding meal periods. In some cases, an “on duty” meal break can be provided, but only when the nature of the job prevents the employee from being relieved of all duties and if there is a written agreement between the employer and employee. The written agreement is valid only if it is signed and if it states that the employee is free to revoke the agreement at any time. California labor law requires that employees get rest breaks if they work over three and a half hours a day. These mandatory breaks must be in the middle of each work period and must be 10 minutes for every four hours worked or fraction thereof. Rest breaks are considered “work” and are therefore paid time. If an employer fails to provide an employee a rest period, the employee can recover one hour of pay for each work day that the rest period is not provided under the California rest period law. An exception to the rule is made for bona fide “exempt” employees. Properly classified “exempt” employees are not subject to this rule. If you work along the Central Coast, call Adams Law today to find out if you can recover money because of an employer’s failure to provide meal breaks or lunches. In California, for each hour worked over 40 per week or over 8 per day, an employee must be paid one and one-half times their regular rate of pay. Employees in California can recover overtime pay earned as far back as four years ago. To determine the overtime rate of pay in the cases of salaried employees, California provides that a salary compensates for only 40 hours of work per week. Thus, if an employee is paid $600 a week in salary, the employee’s overtime rate of pay is computed by dividing $600 by 40. In that example, $15 per hour is the employee’s regular rate of pay. For each hour worked over 40 hours a week, the employee is entitled to be paid $22.50 an hour if they are entitled to overtime pay. California courts will interpret California labor laws to provide the utmost protection to employees. Employees are presumed to be entitled to overtime pay, and, under California and federal law, the employer, not the employee, has the burden of proof to show that it properly paid the employee. What you do while working — not your job title and responsibilities — governs whether you are entitled to overtime pay. Sometimes an employer will give an employee a “fancy title” and place them on salary for the purpose of avoiding the requirement of paying non-exempt employees proper overtime pay. Do not be misled. This exemption applies to sales employees who generally work away from their employer’s office location. This exemption does not apply, however, if the employee spends significant time doing the same work as other non-exempt employees. According to California’s Division of Labor Standards Enforcement, managers of restaurants, retail stores, service stations and motels are frequently mischaracterized as exempt in where they spend most of their work time cooking, selling on the floor, cashiering, pumping gas, repairing equipment, and acting as a desk clerk. Assistant managers are often entitled to overtime compensation because generally, they do not regularly direct the work of other employees. You may be entitled to recover money when an employer unlawfully requires you to work for free, commonly called “off the clock” time. You may be able to recover those lost wages even if you do not have a written record of hours worked. You may recover up to four year’s wages because an employer illegally used labels or classifications to avoid paying proper and fair wages and to circumvent payment of benefits, including stock options or health insurance. You may recover unpaid bonuses or other performance incentive payments. If you were not paid your accrued vacation time upon termination, you are owed payment for those vacation hours as wages. If your company has a “use it or lose it” vacation policy that has been enforced against you, you are entitled to recover those lost hours as wages. “Use it or lose it” policies are unlawful in California. 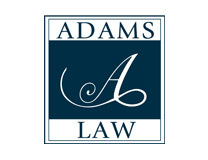 Adams Law may be able to recover your unpaid or wrongfully withheld commission wages. This is one of the most common ways that employers cheat employees out of wages, by failing to pay commissions earned and payable.